Anonymous, 03 Aug 2014This phone was smart simple and better but not now.... 2014 latest games doesn't support on ti... more4.0.4 is the last official, there would be no updates whatsoever but you can use CM10 ROM to get JB. Unlock bootloader needed. This phone was smart simple and better but not now.... 2014 latest games doesn't support on tipo... Wil atleast tipo users get 4.1.2 update?? It's an extremely low- end phone, I don't recommend anybody to buy it. I got one less than a year ago, and I'm going to buy a new smartphone yet. 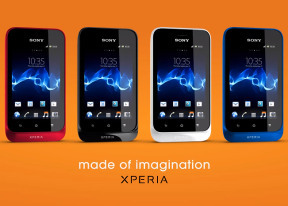 There's no problem with Sony, but Tipo doesn't really deserve to be called a Sony Xperia. There's a big white spot in the middle of the screen in case of every Tipo, so it's not an individual problem... It's unable to use its smartphone functions, and is really bad for calling and texting people. I hate Tipo. Build quality and performance are very very bad! Please DON'T BUY A TIPO! I find texting on the Motorola screen alot easier than the sony screen. The Motorola has a strong reception and WiFi signal. And I don't know why but my texts that I send out to people on my sony are now received late sometimes and this is in town. I almost forgot. A big reason why I got this little sony is that it has quite an impressive amount of internal memory. The Motorola defy mini has bugger all internal memory and I struggle to download anything. And even to update the standard apps on my Motorola I struggle and I can't do because of no memory. This is a good quality phone. I don't find the screen scratch resistant. I like the feel of the back cover. This phone is slightly more expensive than more Motorola defy mini which I older the the tipo and slower. My defy mini takes way better quality photos with and has a flash and two cameras. My defy mini has a better save power mode than the Xperia tipo when battery is low. The defy mini screen is also heaps in direct sunlight, when browsing online and i. sscratch proof. The Sony is a nicer phone to hold has a better quality sound but volume can't go as loud on the Motorola. Please don't buy infact some showrooms don't sell it. I'm using tipo for last 1year. Can i buy it or no? This is like the fastest 800mhz phone i've ever seen. Dear friends I'm using the Xperia tipo single. for the last 2 days my mobile's PROXIMITY SENSOR is not working. I feel it's a case. plz tell me the solution without visiting the service shop..
Sony tipo or HTC explorer which is better to buy? how to read pdf files on tipo...m having d default adobe bt i hve d problem of page fit...so any software to fit d entire page on d screen while reading pd files..??? ?